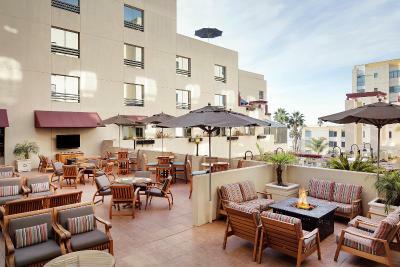 Lock in a great price for JW Marriott Santa Monica Le Merigot – rated 8.6 by recent guests! 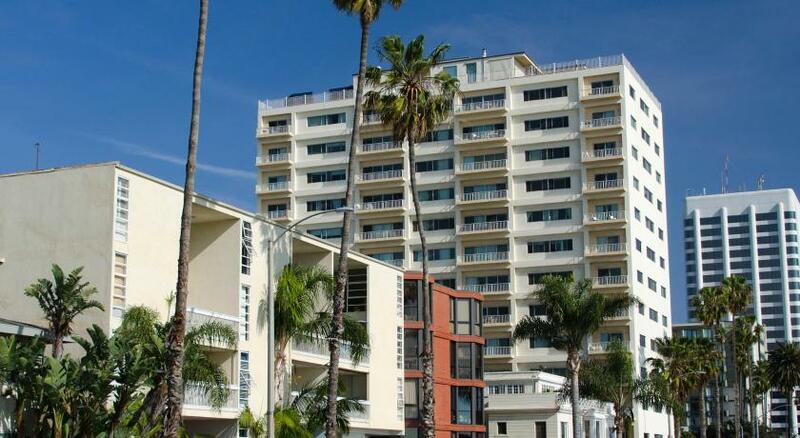 Great location -short walk to beach. Lovely rooms and facility. Too bad the unexpected high parking and resort fee put a damper on an otherwise amazing stay. Everything perfect from cleanliness to staff to location! I liked Sono the concierge. He was a very friendly staff member and gave me and my boyfriend a great breakfast spot to eat. We wished we could have stayed longer. Staff went above and beyond. We all exclaimed every day about how over the top each staff member was. My room was a little late being prepared for me, but the staff was very gracious about the delay and made sure I was comfortable at the bar area while I waited. 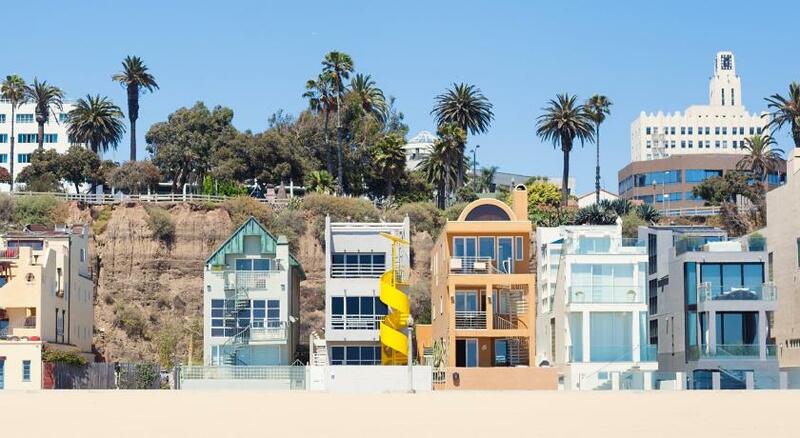 Can't beat the location, and near-direct access to the beach! 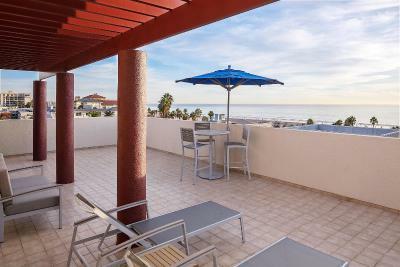 Near to beach and all attractions. Large comfortable room. Since the Marriott & Sheraton have joined, I'm pretty sure they now have THE beds because the bed was to die for. Fantastic location, staff were extra helpful and... free water! Great pool & food as well. Our whole experience was great! The staff were awesome! We found flowers and cookies left in our room for our anniversary which was so nice and appreciated! 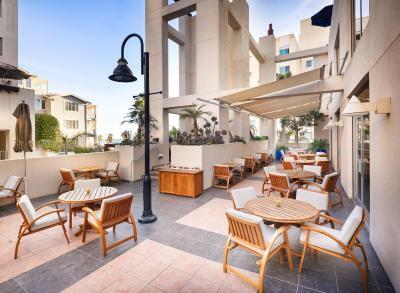 JW Marriott Santa Monica Le Merigot This rating is a reflection of how the property compares to the industry standard when it comes to price, facilities and services available. It's based on a self-evaluation by the property. Use this rating to help choose your stay! 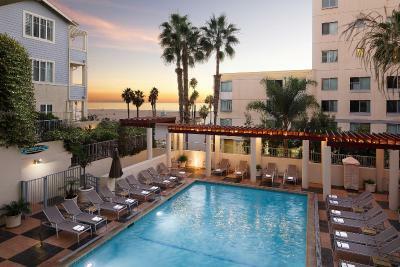 Next to Venice Beach and Santa Monica Pier, JW Marriott is inspired by the hotels on France's Cote d'Azur. It features an award-winning restaurant and a spa with pool, sauna and gym. 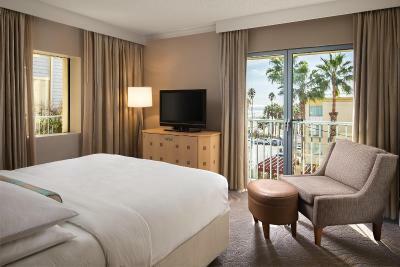 Rooms at JW Marriott Santa Monica Le Merigot are decorated in creamy colors and include marble bathrooms. 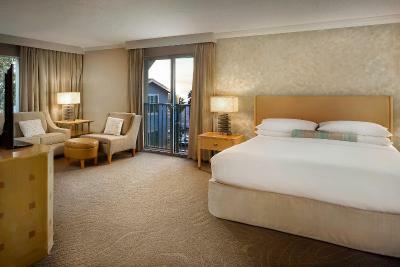 Guest rooms extend out to private furnished balconies. 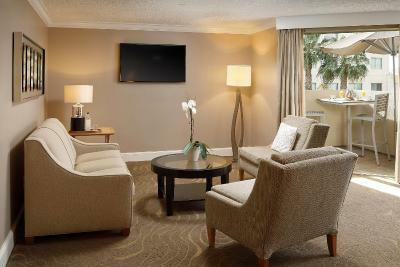 A flat-screen TV is also included in all rooms. 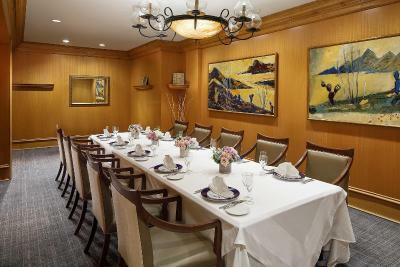 Guests can enjoy fine dining at the in-house Cezanne Restaurant, serving a fusion of different cuisines. 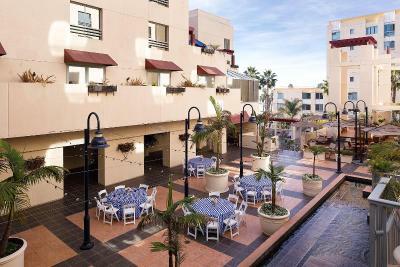 Many cafes and restaurants can be found on Ocean Avenue and Ocean Front, just steps away. Le Troquet Patio Lounge is also available to guests at the property. It is open for lunch and dinner in a casual, relaxed atmosphere. 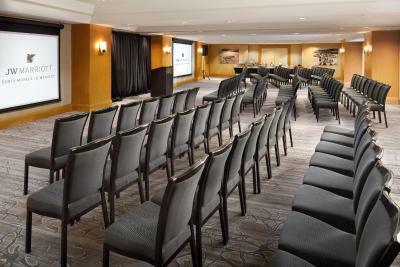 Other popular attractions near Santa Monica JW Marriott include Santa Monica Civic Auditorium and the Memorial Open Air Theater, less than 1 miles away. 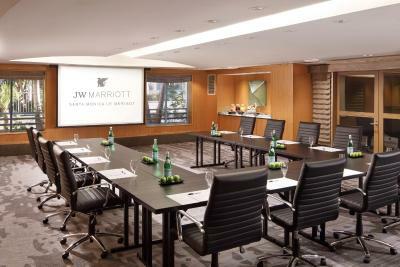 When would you like to stay at JW Marriott Santa Monica Le Merigot? 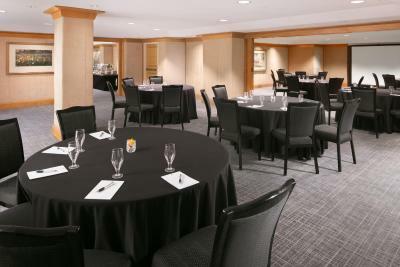 Offering a city view, this room provides a flat-screen cable TV and an iPod docking station. A desk, a minibar and tea and coffee-making facilities are also included. Private parking is available at a location nearby (reservation is not possible) and costs USD 50 per day. Featuring a pillow-top mattress, this room provides feather bed linens and a marble private bathroom with a light up mirror. 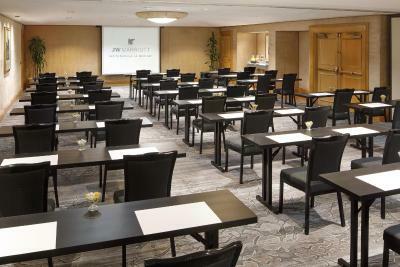 A work desk with electrical outlets, warm slippers, plush bathrobes and coffee-making facilities are provided. 24-hour room service is also available. Featuring a balcony with a city view, this room provides a pillow-top mattress, feather bed linens and a marble private bathroom with a light up mirror. 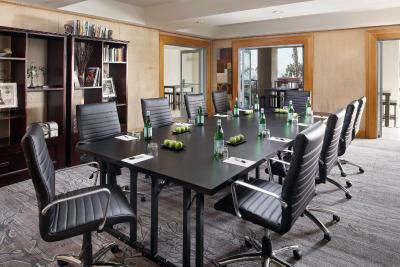 A work desk with electrical outlets, warm slippers, plush bathrobes and coffee-making facilities are available. 24-hour room service can also be provided. 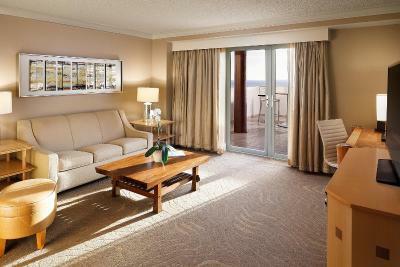 This suite has a balcony, satellite TV and air conditioning. 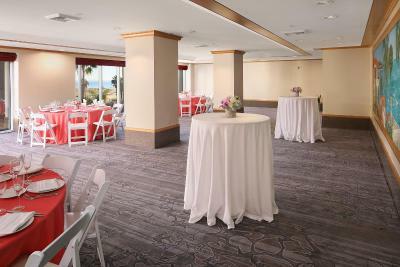 Gorgeously designed,pet-friendly hotel rooms boast deluxe featherbeds with 300-thread-count Italian linens, twice-daily maid service,on-site spa,delicious all-day dining at the stylish Cézanne restaurant,and a wide range of modern fitness facilities. 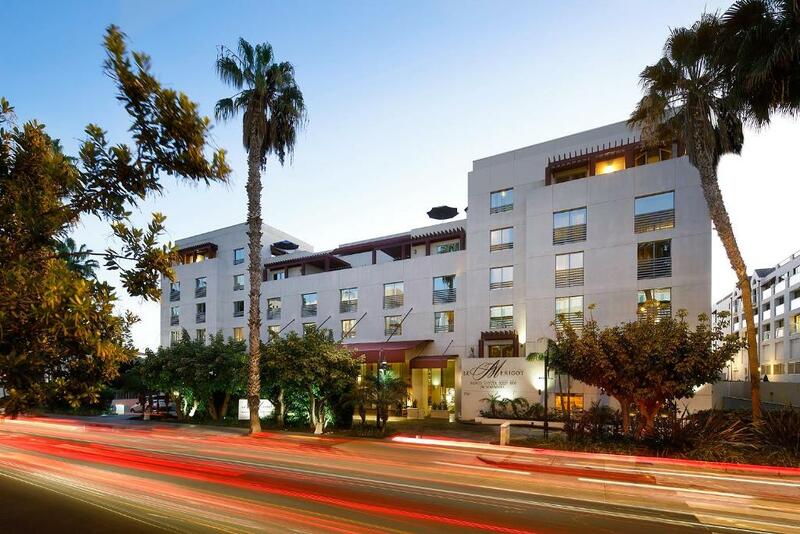 House Rules JW Marriott Santa Monica Le Merigot takes special requests – add in the next step! 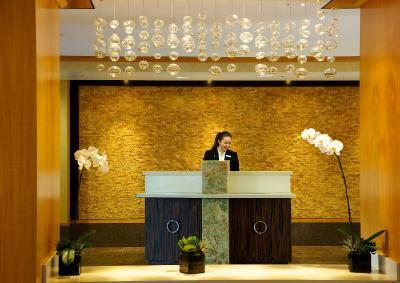 JW Marriott Santa Monica Le Merigot accepts these cards and reserves the right to temporarily hold an amount prior to arrival. Please note: Hotel charges a non-refundable pet sanitation fee. Please inquire with property for further details. Be aware that there is a $30/day resort fee and $50/day parking. This was a very unpleasant surprise. I could not find the resort fee mentioned on Booking.com and the parking fee is buried deep in the information menus. Amazing location. The staff were so friendly and helpful. Best staff in the world ! Tono the bellhop was amazing , my partner broke her leg while we were there and he sorted everything out including crutches and a wheelchair, cant say enough about this guy and all the staff, do yourself a favour and book this hotel ! Not forwarned that a $40 per day valet fee was being charged and a $30 convenience ??? fee per day charged. They gave me the wrong rental car from the valet . Got hallway to airport before realizing the mistake. Only 1 coffee pod and coffee cup per room? Lobby coffe very weak. Doors load when entering rooms. Hallway loud. Bed springs squeaked. My room had a handicapped configured bathroom but I wasn’t told that at check in. I would have preferred a standard shower with a door, not an open stall. 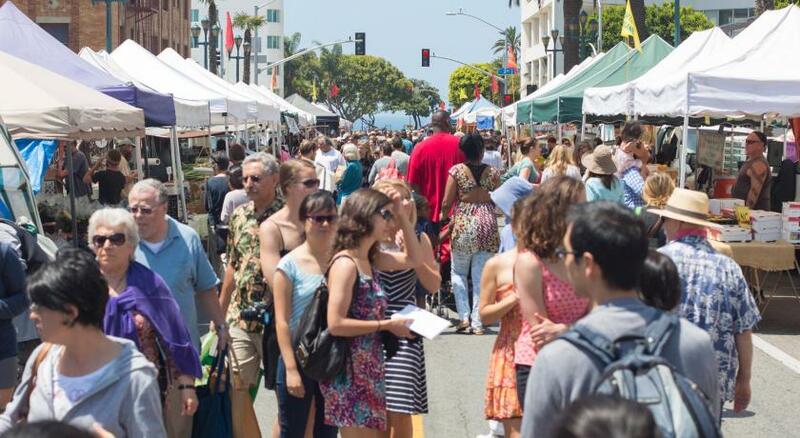 Only valet parking is available - expensive at $40 + tax. Furthermore, our booking confirmation stated $9 per day resort fee. This is now actually $30 + tax!!! Luckily, the receptionist agreed to charge us the fee on our booking. Bed was very comfy, room large & clean. Fantastic large shower in a new bathroom. Toilet seat is very low though! It was very quite. Excellent location, opposite the beach. 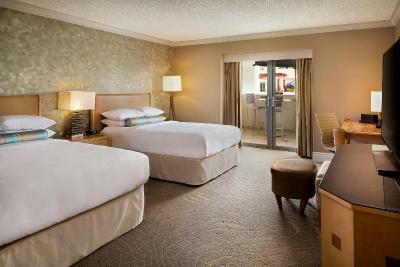 We've got a great deal on the room rate too!